An imposing sound volume and an incredibly affordable price. Balanced proportions, mature technology, a pleasant touch and a rich voice make the Zimmermann HZ 126 upright piano a persuasive piano. Moreover, the Zimmermann HZ 126 upright piano features a restrained, timeless design that sets its above passing fashions. The Zimmermann HZ 126 upright piano is the ideal instrument for first piano lessons. Beginners are often frightened by the prices of new pianos and purchase second-hand instruments. But this brings risks, for some defects may not be evident immediately. 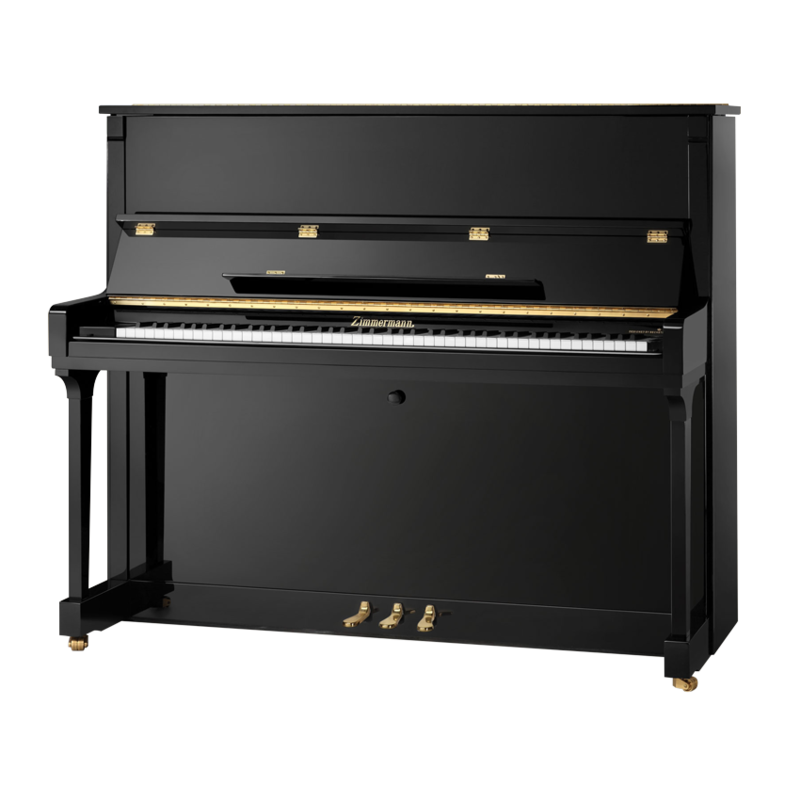 A new Zimmermann HZ 126 upright piano is the best alternative. All Zimmermann instruments, including the Zimmermann HZ 126 upright piano, undergo the Bechstein quality monitoring procedure: they are made by an exclusive Bechstein partner and inspected by Bechstein’s German specialists at the production site. The Bechstein seal of quality is only granted to faultless upright and grand pianos. The Bechstein quality management procedure guarantees that the Zimmermann HZ 126 upright piano is a first-choice instrument that will retain its value for a long time to come.